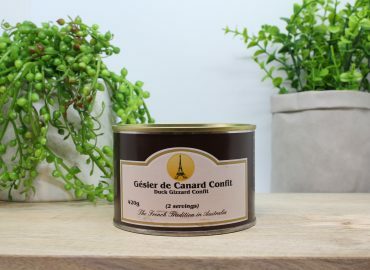 Not sure what to do with your Duck Gizzard Confits? A Salade Landaise is the answer you will get from any French person you meet. This rich and authentic recipe from the South West of France will have you wondering why you didn’t have it before! 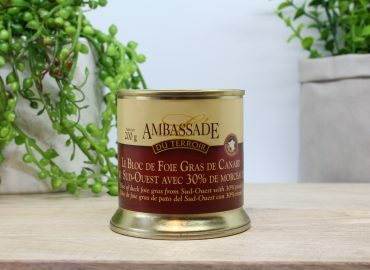 Place your jar or can of Foie Gras in the fridge. 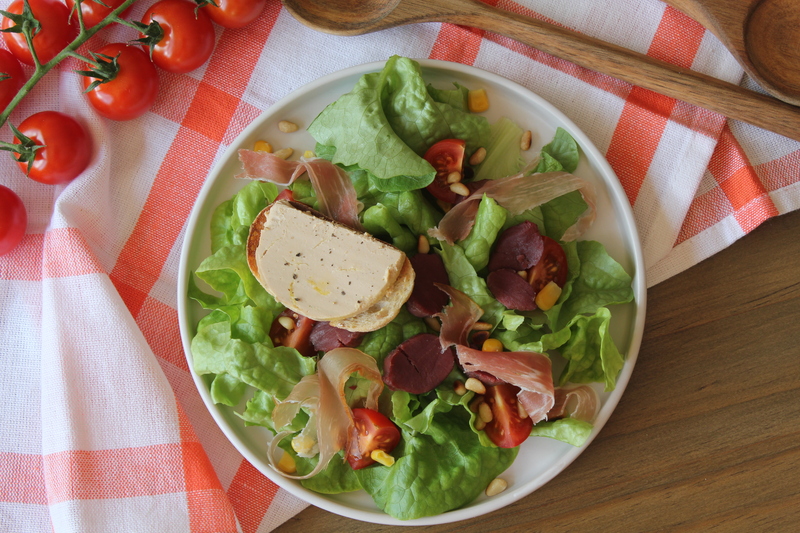 Dress the salad onto a each plate: use the lettuce as a base, then add the tomatoes, corn, pine nuts and ham. Slice the duck gizzards to your liking and add to the salad. Put a slice of the Foie Gras onto a piece of Bread. Add to the Salad. Make the dressing by mixing together the mustard, olive oil, balsamic vinegar, salt and pepper. Pour a generous amount of dressing over the salad. *TIP: While the duck fat from the can is still hot, pour it into a glass jar and store it in your fridge. You can use duck fat instead of oil or butter to cook your vegetables and meat. 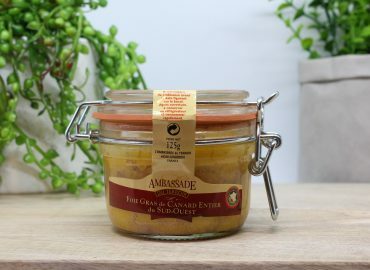 It is one of the many French delicacies we are proud of!